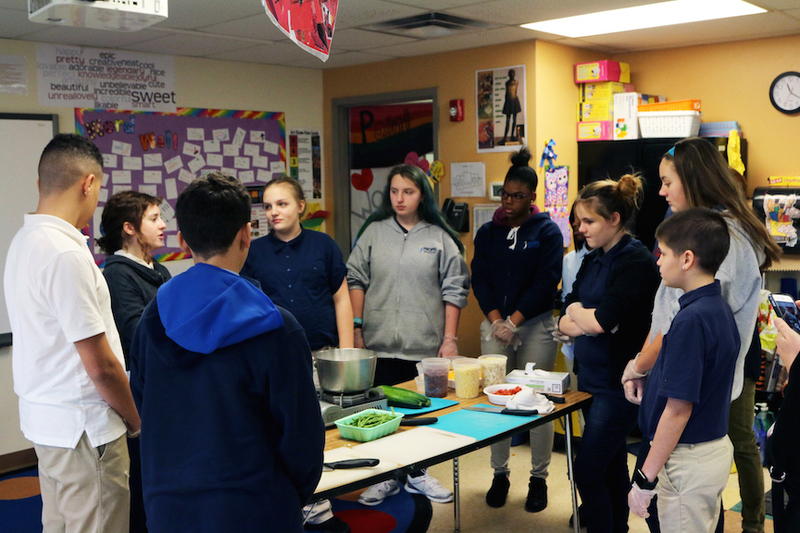 Conflict Kitchen worked with Mrs. Doyle’s middle school students in the Taste the World Lunch Club at Propel Montour. 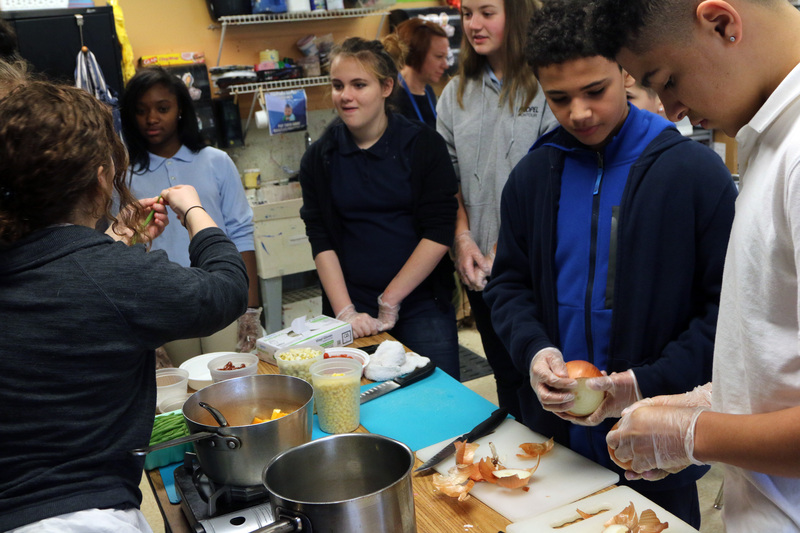 Every week, these students partake in dishes from around the world. In January 2017, these students sampled the a local cuisine, the food of the Haudenosaunee Confederacy. At our first visit, Education Director Blaine Siegel dined with the Lunch Club while discussing the Haudenosaunee Confederacy’s food, culture and contemporary conflicts with the United States government. 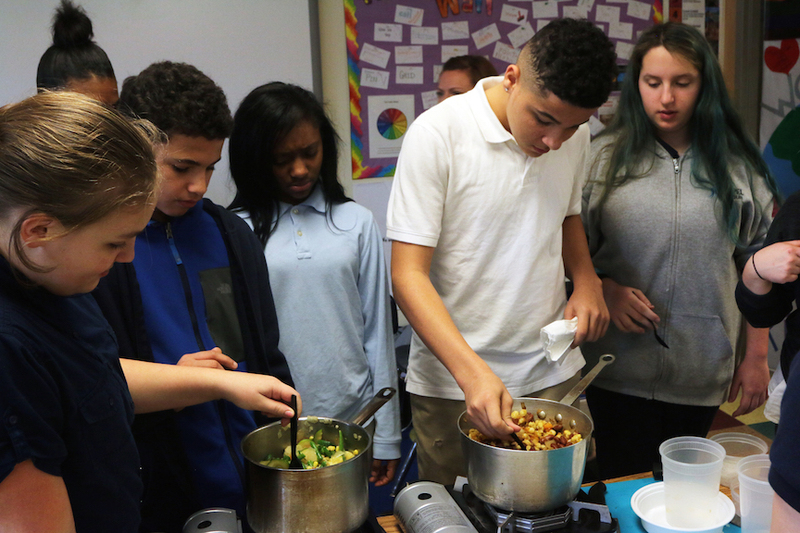 The following week, students and Assistant Education Director Clara Gamalski cooked two versions of ogösäse:’, a succotash of corn, beans and squash, the staples of Haudenosaunee cuisine. One recipe highlighted traditional preparation methods and corn from the Iroquois White Corn Project while the other incorporated sweet corn. Blaine and Clara joined students for conversation and a meal of onädatgos, wadesai’dö:ndak, gagaihdëhdö and both versions ogösäse:’.